Following the recent news of the tragic death of a teenager who had an allergic reaction after eating a sandwich from a major UK sandwich provider, foodservice operators of all sizes are reminded of the importance of making sure allergens are clearly labelled on all food products. 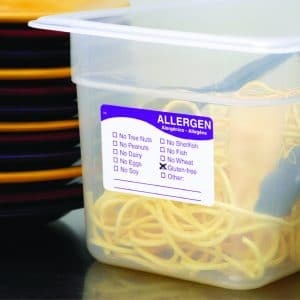 Bunzl Catering Supplies helps operators in the catering and hospitality implement effective food safety labelling systems, to ensure that allergens are sign-posted from back-of-house production to front-of-house point of purchase. 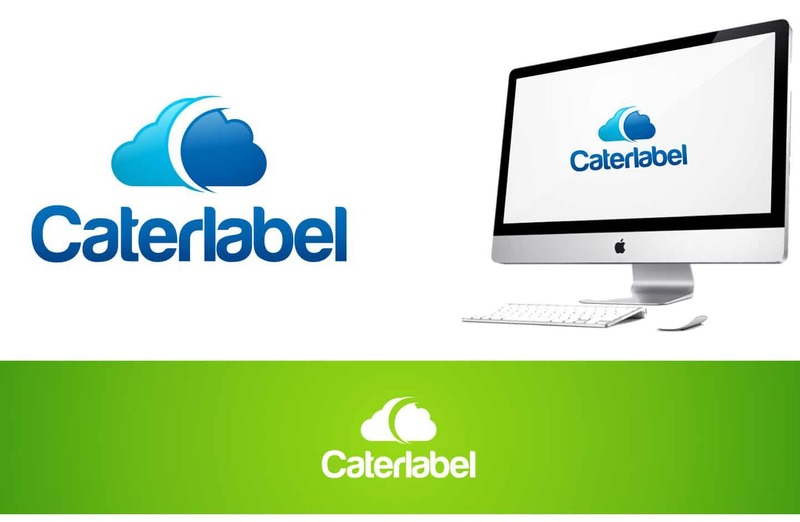 We do this by providing customers with access to a well-established labelling system called Caterlabel, which for a small monthly fee, allows operators to manage and print legislation-compliant food packaging labelling from a standard computer on-site. 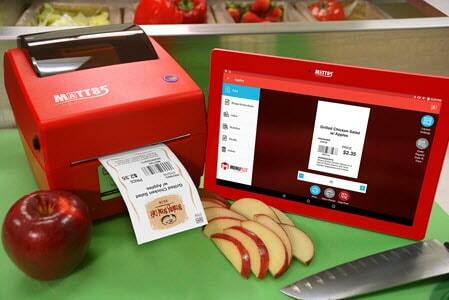 Bunzl Catering Supplies is also pleased to offer a product new to market, the MenuPilot app and Matt85 system from supplier DayMark. With a minimal investment of less than £200, operators access the DayMark kitchen automation system via the app, to print labels with basic allergen details or full-colour nutritional and pricing information. The Food Standards Agency, who are responsible for protecting public health in relation to food in England, say that any pre-prepared food must be clearly labelled with any allergens, and if the food is made fresh then the consumer must be told about any allergens at point of purchase. Ingredients: Water, Carrots, Onions, Red Lentils (4.5%) Potatoes, Cauliflower, Leeks, Peas, Cornflour, Wheat flour, Salt, Cream, Yeast Extract, Concentrated Tomato Paste, Garlic, Sugar, Celery Seed, Sunflower Oil, Herbs and Spice, White Pepper, Parsley. Ingredients containing any of the major allergens also need to be identified in the kitchen to avoid cross-contamination. To ensure that the ingredients are tracked throughout their preparation to presentation, a system for back-of-house food labelling is required. This ensures that the risk of cross-contamination is negated – and information on allergens within dishes can be confidently communicated to customers at point of purchase. 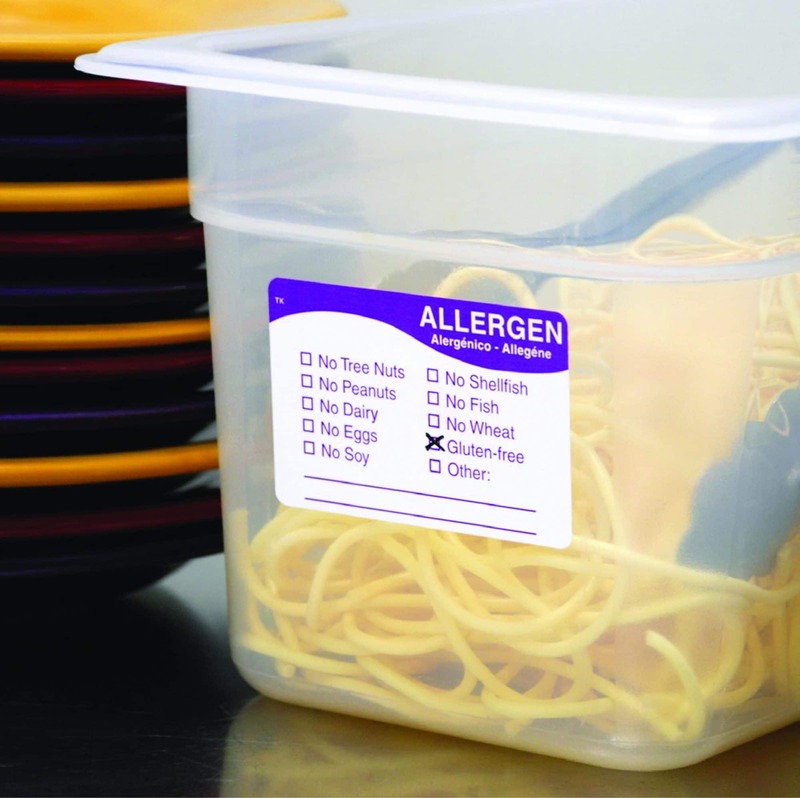 At Bunzl Catering Supplies, as part of our food safety and hygiene range, we provide a variety of allergen labelling to ensure that food containing one or more of the major allergens is easily identifiable. 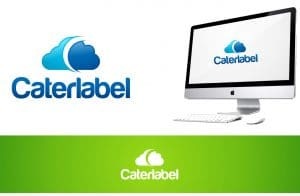 This includes our exclusive brand Caterlabel system, which is an online system that allows our customers to create, find and print food packaging labels on site from any computer. 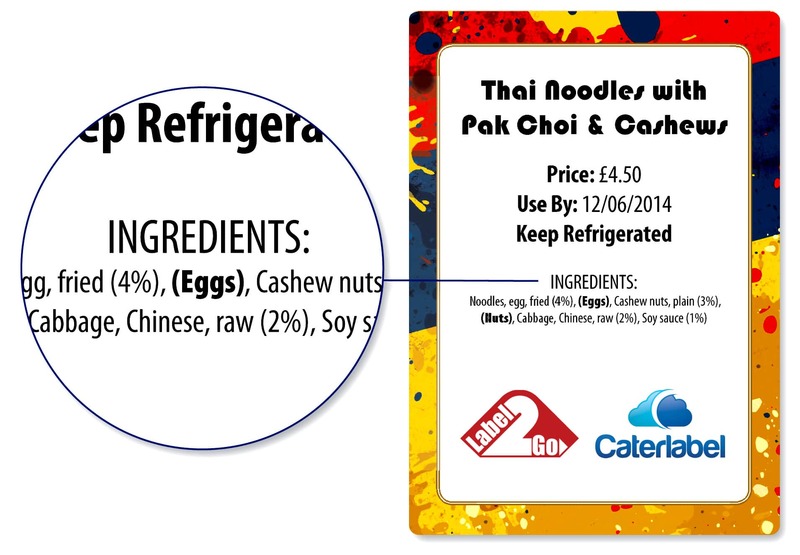 Caterlabel helps our customers comply with current food information regulations, by printing labels that show allergen and nutritional information. 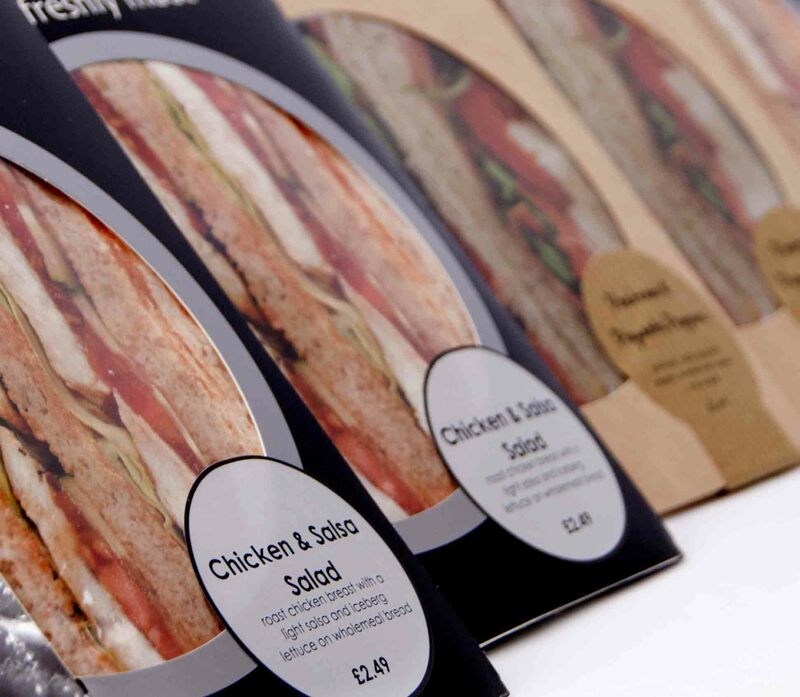 Once the labels are complete they can be printed on labels from our exclusive brand Label 2 Go, which provides an off-the-shelf range of labels that co-ordinate with the latest food packaging in the marketplace. Our supplier DayMark has recently launched a new system to market, which also allows customers to create and print labels in-house. With the DayMark system, customers receive access to the DayMark MenuPilot app and Matt85 system, as well as a tablet and a printer. 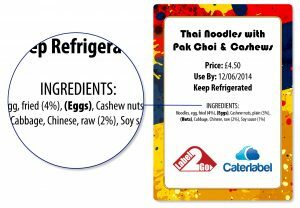 This allows operators to print labels with as little information as basic allergen details or as robust as full-colour nutritional and pricing information. The effective labelling of food products has never been more important – ensuring legislative compliance and peace-of-mind for operators, good labelling enhances product presentation whilst communicating potentially life-saving allergen data to consumers. For more information on our range of back-of-house food safety labels and systems, view our Food Safety & Hygiene e-brochure. For more information on our exclusive brand Caterlabel system and Label2Go food packaging labels, view our Food Safety & Hygiene e-brochure. For more information about the DayMark MenuPilot system click here. *Cereals, crustaceans, eggs, fish, peanuts, soybeans, milk, nuts, celery, mustard, sesame, lupin, molluscs, sulphites and sulphur dioxide.